PGE met with over a dozen potential business partners in early December, with an eye on finding a partner to take a 50% stake in two special purpose vehicles. 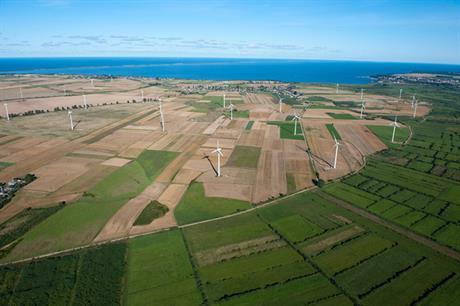 The 1.5GW Baltica 2 and 1.045GW Baltica 3 wind farms off the coastal city of Leba will be implemented by the new partners. Poland currently has no offshore wind capacity. PGE did not disclose names of attendees. But it said the partner for this first stage of its offshore programme "should have appropriate experience in implementing this investment on the European market, be able to support these projects in their technical aspects and in contractor management, and to share know-how in this area with PGE". The usual suspects of E.on, Iberdrola, Innogy, Vattenfall, EDPR and Ørsted are expected to be among those approached by PGE, according to local media. Ørsted listed Poland among "next horizon markets" for offshore wind at its Capital Markets Day in November. PGE expects to get environmental clearance for the wind farms next year. Grid connection for its first offshore capacity is expected around 2025 and the start of commercial operations the year after. PGE CEO Henryk Baranowski said wind speeds at the sites could exceed 9m/s. Polenergia, an independent energy group, sold a 50% stake in two Baltic Sea wind projects with a total capacity of up to 1.2GW to Equinor earlier this year.